Last month my husband and I visited Venice for the first time. Ever since I was a child, I’d always wanted to go to Venice, so my husband arranged for us to spend six days there as a birthday present to me. When we told everyone we would spend so many days there, they were all skeptical. “What will you do during all that time?” they asked. “There’s not that much to see.” Most people who visit Venice only spend one day and see only the major tourist attractions (mostly everything around Piazza San Marco). 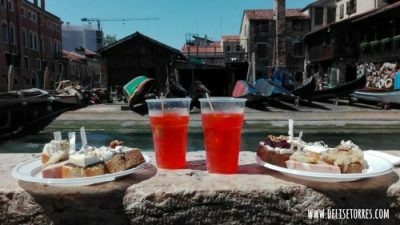 Another issue that came up was the warning that Venice is one huge tourist trap–there are tourists everywhere, it’s expensive, and the food is bad. Our goal with this trip was to have a relaxing time with no rush and to explore at our convenience. We’ve visited other major cities in Europe on our own and have always been able to have an enjoyable trip. 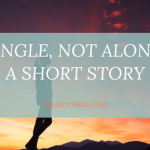 In our experience, it only takes some research and preparation beforehand, while at the same time leaving some things unplanned and going with the flow. We were still concerned about visiting Venice and feared our experience would be bad. But it wasn’t. 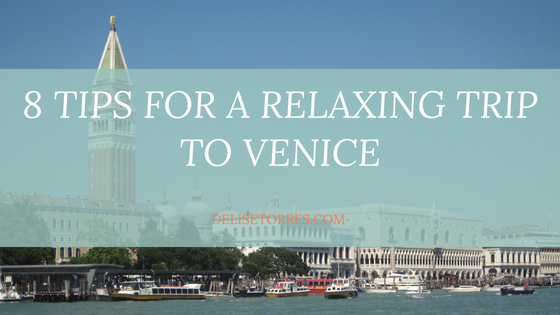 Venice is indeed a huge tourist trap, but there are ways to avoid tourists and enjoy this picturesque, unique city and everything it has to offer. 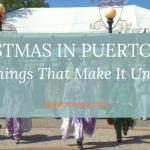 And there is a LOT to see and do, including museums, churches, shopping, and island-hopping, some of which we didn’t get to cover on this trip. 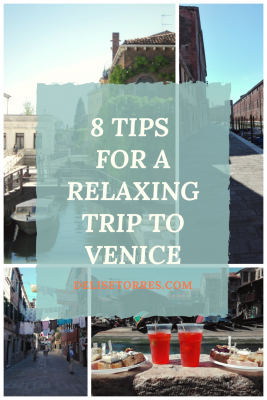 So based on our own experience, here are a eight tips to make the most out of your trip to Venice in a relaxing, budget-friendly way. 1. Set up your “home base”. 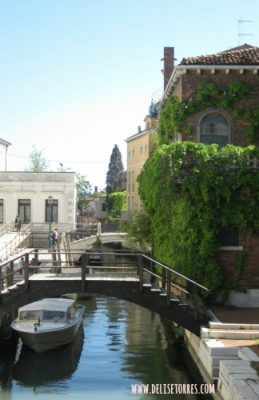 We stayed in the neighborhood of Cannaregio, at the north end of the city. We didn’t have a view of the Grand Canal, but we did have many bars and restaurants close by. It was also a more peaceful, less-crowded area to be in. After arriving at our hotel, the first thing we did was to set up our home base. We asked the receptionist where the closest supermarket was so that we could buy water and snacks to take with us. Luckily, it was just around the corner, hidden in a small alley. As everywhere else in Europe, water costs money and you have to pay for it in restaurants and other food places. While walking through the city, you can save a lot by simply taking some water bottles with you. Make sure you bring a back-pack to carry it in. If you really want to explore the city, bring comfortable shoes and walk. Venice is small, but not that small. You can get lost, and walking from one side to the other can take a long time. Every corner presents a photo opportunity if you stop to look and are not rushing through. There are stores and galleries to look around in. Yes there is public transportation in the form of the vaporetto, but these are full of tourists and can get expensive (7.50€ for 75 minutes, one way). A note of caution: if you are carrying strollers or traveling with a person in a wheel chair, know that only bridges in the main tourist areas around the Piazza San Marco have ramps. All other bridges contain stairs that you’ll have to maneuver. 3. Get lost and explore, but also carry a map. I read that the best thing to do in Venice was to get lost and not look at a map. But even with a map you can get lost. 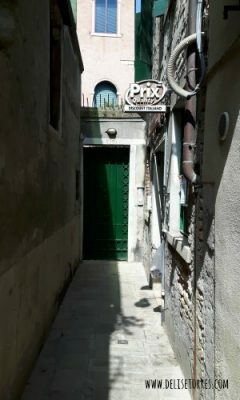 There are small alleys that are not marked on the maps, so you will always need to orient yourself to find your way back to your hotel or other destination. And bridges to cross from one island to another are only available at certain locations, so if you miss them, you have to retrace your steps and walk a bit more to find them. Another useful thing about the maps is that they mark the public restrooms in the city. These are spread out and available mostly near the tourist areas. Follow the map and then look out for stickers on the ground that point the way. Use of the restrooms is 1.50€ and the machines only take 1€ or .50€ coins. An attendant is available to give you the exact change, but it can happen (as it did to us) that they run out. Sometimes the map is not accurate or the bathrooms are closed for repairs, but for the most part, we were able to use them. 4. Avoid the tourist areas as much as possible. Of course you’ll want to visit the Piazza San Marco and the Doge’s Palace (I definitely recommend the Secret Itineraries tour, which needs to be reserved beforehand), but to really get the full experience of Venice, you’ll have to wander to the other, less touristy areas. Walking just parallel to the main tourist way will also help you avoid the crowds. You won’t avoid tourists completely, but you’ll at least wander around more secluded areas and even enjoy some of them by yourself. 5. Eat standing up or sitting on the ground. The cheapest way to eat is to grab a quick lunch or dinner and find a spot where you can sit near the canal and enjoy your food. Some take-out places don’t have a lot of sitting room (if any) and you’ll have to find some other place to sit. This worked out well for us and we saw many people do it. You can also visit one of the many supermarkets in the city and buy sandwiches to eat outside. Be aware that pigeons will approach. Just shoo them away and they won’t bother you. Also, grab on to your food packages to keep them from flying away and polluting the city (as happened to us when our plastic containers flew into the Grand Canal–oops!). 6. 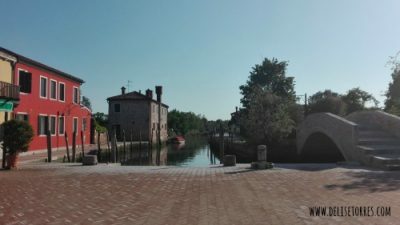 Take a trip out to the islands of Murano, Burano, and Torcello. This was my favorite part of the trip. We bought a 24-hour boat ticket and went island hopping. Visiting these islands can all be done in one day, depending on how much time you spend in each one. Murano is the largest one and is famous for its glassware. This glass is sold all over Venice, and in Murano there are a multitude of stores. We were lucky to find a factory near the Faro boat station that had open doors so people could watch workers as they worked the glass. Near there is also the School of Glass offering demonstrations on Thursdays at 4 pm. Burano is famous for its lace and colorful houses. And Torcello has a nice cathedral to visit, just be aware of the visiting times and that you have to pay for entrance. The day we visited the cathedral was already closed, but this island is not as highly visited and there was a nice, peaceful atmosphere. What I found surprising was how many tourists also made this trip. The guides I read said this was a good way to escape the tourists, but they are still there and the islands are prepared to cater to them. We were a bit mistrustful as to whether the lace and glass were really made there or in another country, like China, but we did find a store where a man made glass horses and cats right before our eyes and we bought a glass horse as a souvenir. 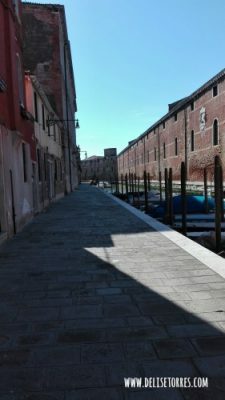 You can also head out to other islands around the lagoon, like Lido or Giudecca. 7. Look for restaurants recommendations online or ask in your hotel where to eat. I used Tripadvisor and Wikitravel to find restaurant recommendations. Most were take-out places to have a quick lunch, and we could enjoy local food and not spend a lot of money. We also ate at some sit-down restaurants that weren’t that expensive (one was recommended by our hotel). I marked the restaurants on my map and if we were in the area, we sought them out. Local food consists of mostly fish, like pasta with tuna, grilled whole fish, or risotto with fish. They also sell a type of tapas called cicchetti, which is mostly fried fish or bread with an assortment of toppings. 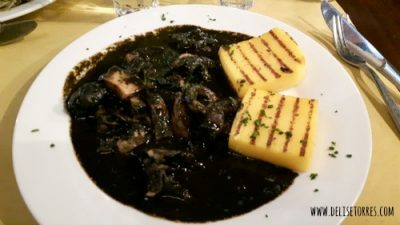 Another specialty is cuttlefish, a squid with a black ink that is either served with pasta or by itself with a side of polenta. All in all, our experience with the food was really good. 8. Enjoy the night life. We were lucky to stay in the Cannaregio neighborhood where the night life actually occurs. 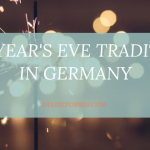 There are a lot of bars and many students hang out there, sitting on the ground or in boats and having drinks and cicchetti. It was a different experience and we enjoyed it. Also, go to the Piazza San Marco at night. There will still be tourists around, but the atmosphere is completely different than during the day. There are musicians who play during the day at the different cafes, but at night, they cater more to the crowd and give a sort of mini concert. Our trip to Venice was truly a dream come true for me. Taking the time to really explore gave us an insight as to how it would be like to live there. We walked through all of the neighborhoods, saw some churches, sat in park benches or by the canals and just watched people. It was a relaxing adventure, and because we had no rush, we could take many breaks from all the walking. We were lucky to enjoy great weather during our visit, not too warm, but still sunny with clear skies. I recommend that everyone go there at least once in their lives and to spend at least more than one day to really give the city a chance. Did I miss anything? Have you spent more than one day in Venice? What was your trip like? Any other tips you’d like to share?